A Medical Romantic Comedy About A Doctor Who Becomes A Patient. Doctor Greg Brulotte is considered one of the best ER doctors at busy St Joe's Hospital in Vancouver, although he has a well earned reputation for bullying and terrorizing the nursing staff. Suddenly he's a patient in Intensive Care, and he's become even more of a tyrant. Nurse Lily Sullivan is one of the few who ever stood up to Greg and his tantrums, and now the gorgeous doc is one of her patients. She's well aware of his reputation as a womanizer, and she decided long ago not to fall for him. Besides, her life is much too complicated for romance--and she and Doc Brulotte share a deadly secret that could end both their careers and their lives. And now he's seriously injured. All the nursing staff agree he's the worst patient any of them have ever had to deal with. 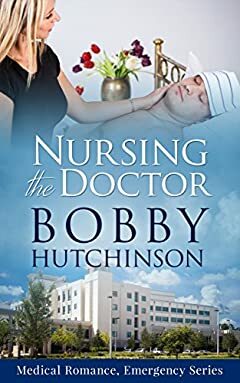 YOU'LL LOVE NURSING THE DOCTOR!